Packing light! We each have one carry-on. Plus the green backpack holds our laptop, camera and things we needed for work. The day has finally arrived! Today we’re packing up our family and we’ll be travelling for 5 weeks. There are wonderful benefits to living a minimalist lifestyle. For example, living with less stuff has allowed us to have new opportunities and spend money on experiences. My husband and I both love travelling, and started looking into house swaps last winter because we thought that it would be a good way to travel with the kids. With a bit of planning and organizing, our first opportunity to travel for an extended period of time is finally here! Our family is doing a house swap and we’ll be living in Amsterdam for 3 weeks. My husband will be working while we’re there, and then after the 3 weeks is over we’ll be taking vacation time to travel around the UK for an additional 2 weeks. Since we’re swapping homes with someone, we have a ‘home base’ which is great since our kids are only 3 and 4 years old. And there is the huge bonus of not needing to pay for accommodations. Our monthly expenses will remain fairly constant since we’ll be buying groceries, cooking, and doing laundry as we usually do at home. 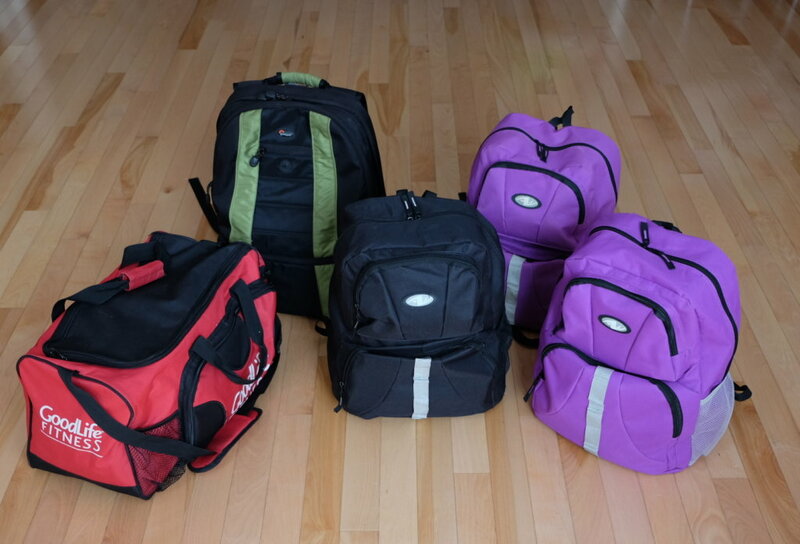 As a minimalist family, we don’t intend to spend a lot of money stuffing our suitcases with stuff to bring back. 3) Not having a car. And possibly other adventures or challenges we face in this new simple adventure with ‘less stuff, more life’! Please message me if there are specific things you would like to hear about!